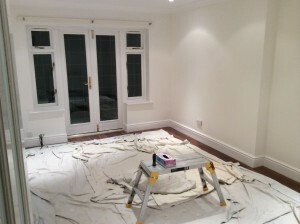 Piffling Jobs can do your painting including interior and exterior gloss work, wallpapering and cross lining. I will work around your domestic or business requirements i.e. working during periods when you are on holiday or during the evening or weekend. 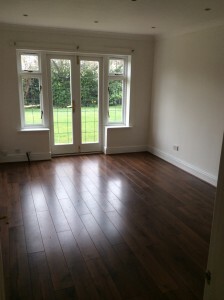 It makes no difference how big or small the job is – I have proven experience in every area and can compliment the service by undertaking general repair work such as repairing existing fixtures and fittings, rotten window framework patched in with new timber or epoxy fillers, basic interior plasterwork, mortar/sealant application to framework. “Phil has helped us out on various occasions at Gatley Physio Clinic – he has decorated, mended locks, fixed doors, fitted security locks and even changed very difficult light bulbs! He has always worked around our patient diary – worked over weekends and even bank holidays so as to not disrupt our work. He is always very pleasant and polite around our patients and some have even preferred his ‘humming’ to the radio!! Extremely trustworthy, true to his word as to when he will arrive, reliable with a great work ethic. Over the years Phil has done various jobs for us both in our current home and in a house which we use as a rental property and has been a fantastic help. He has turned his hand to plumbing, decorating, flat pack furniture building, all jobs have been completed with the greatest of skill. Recently re-decorated my teenage daughter’s bedroom with wallpaper and paint which received approval from us and our daughter! He is extremely trustworthy, knowledgeable, efficient and fantastic value. It’s hard to find trades people this good.